Isn’t it good to know that there is always more, that you’re not limited, that the past has helped to build you but doesn’t define you, that there is always another opportunity to be more of you! The impetus of Merlin’s presence in my life has furthered my momentum to keep growing beyond what I think I know and understand, to become more. 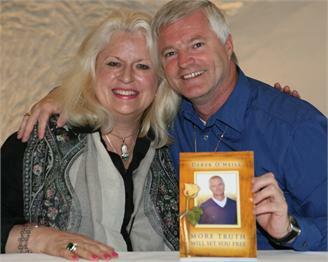 And this month I feel infinitely blessed to have my spiritual teacher, Derek O’Neill here in New York City to bring YOU more of his teachings – More Truth Will Set You Free. This is another wonderful opportunity for us New Yorkers to come into his presence and experience more of what so many of us have been blessed to receive already. I do hope you will set aside October 21 (evening) and October 22 — to be more! Visit: SQ-wellness.com to register and for further details.